Powerful Winter Storm Slams Seattle, Grounds More Than 200 Flights A rare winter storm in Washington state prompted its governor to declare a state of emergency. More than 200 flights were canceled on Friday and drivers are being urged to stay off the roads. 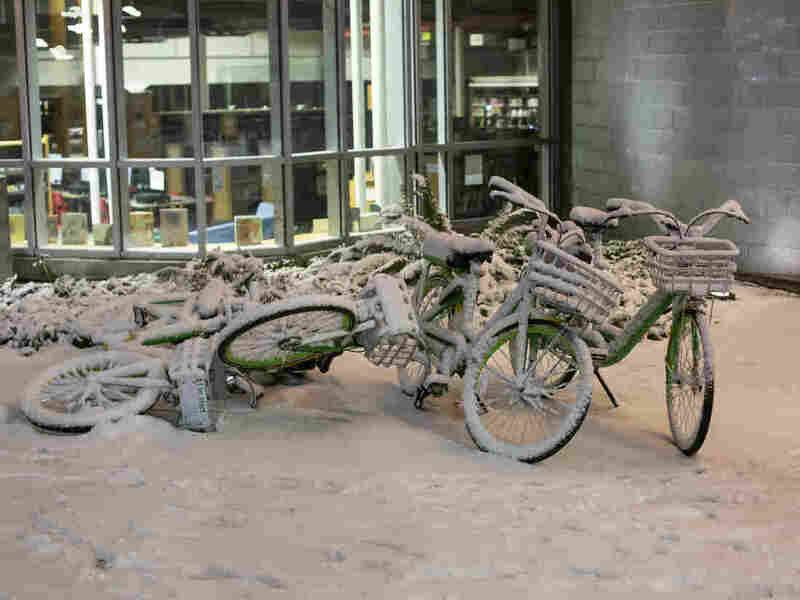 Snow collects on rental bikes parked outside of a library during a storm in Seattle. As of Saturday morning, more than 7 inches of snow had fallen at Seattle-Tacoma International Airport. "Weather forecasters predict this may be a storm unlike one we've seen in many years," Inslee said in a statement. More than 200 flights at the Seattle-Tacoma International Airport were canceled on Friday, and more than 300 were delayed according to the flight tracking website FlightAware. As of Saturday morning, more than 7 inches of snow had fallen at Sea-Tac airport. It's an occurrence Meteorologist Marc Chenard of the Weather Prediction Center deemed significant. 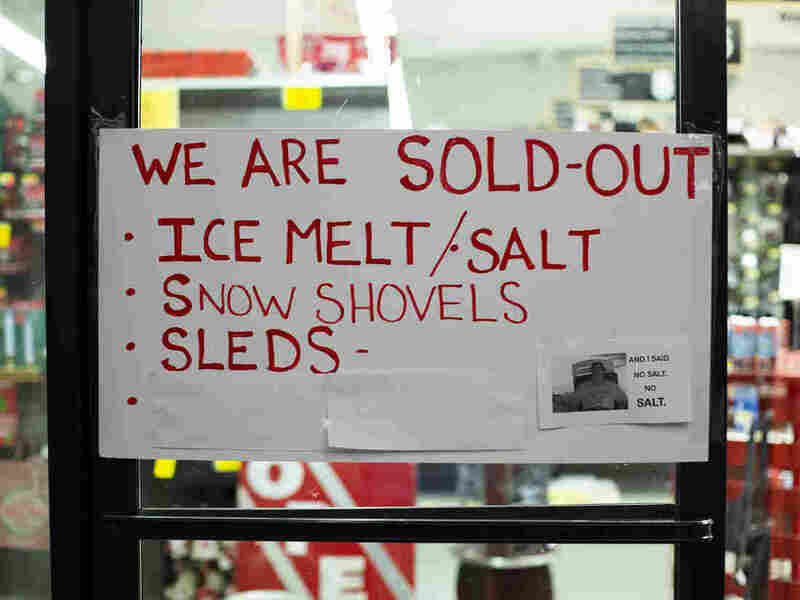 "It does happen in Seattle, typically more in December and January," Chenard said. "Even with that, it's an event that happens once a year, once every couple of years." "We have a very strong mid and upper-level low pressure system that centered off the Pacific Northwest coast that's bringing in colder conditions than what we would typically see," Chenard said. "There are more systems coming off the Pacific that will have the potential to bring snow," Chenard said. "So it's not going to be a continuous snow but there are chances of snow in the Seattle area off and on pretty much right through the week." Chilly temperatures are also expected to stretch into the coming week, meaning the snow will most likely stick around. Drivers are being urged to stay off the roads and Washington's Department of Transportation is warning of extremely long travel times due to snow.